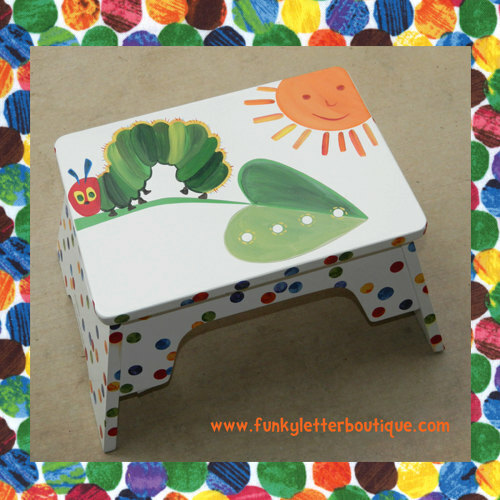 This darling hand painted step stool will coordinate perfectly with your Very Hungry Caterpillar room decor. What a great way to really personalize a room with a one of a kind item! This is hand painted and takes 6-8 weeks to ship if ordered alone, if ordered with letters it will be shipped when your letters are completed. Nothing is premade. I don't start painting these until they are ordered so please beware of this when ordering. A lot of detail and attention is spent doing each and every one of these. 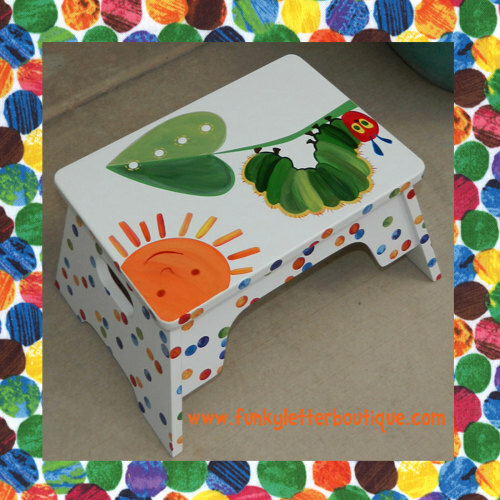 Check out my other matching accessories for the Very Hungry Caterpillar collection!